As per report from sources it was stated that the ruling AIADMK (Sasikala) and its rebel faction headed by O. Panneerselvam would face their first test of electoral strength on April 12 when the by poll for the Dr. Radhakrishnan Nagar (R.K. Nagar) Assembly constituency a seat that fell vacant following former Chief Minister Jayalalitha’s death will be held. Meanwhile as per report from sources the Election Commission of India on Thursday had announced the schedule of the elections as per which the counting of votes would be on April 15. 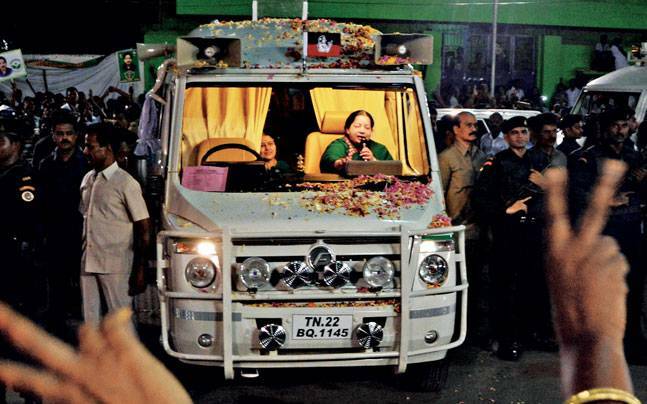 It was stated that for the DMK, the by poll presents a big opportunity to prove its mettle in the post-Jayalalitha period. In prior to her conviction, many factions within the AIADMK urged the party’s general secretary V. K Sasikala to contest from this seat. When announcing the launch of her party, Jayalalitha’s niece Deepa Jayakumar had said she would contest the elections from R.K Nagar constituency.